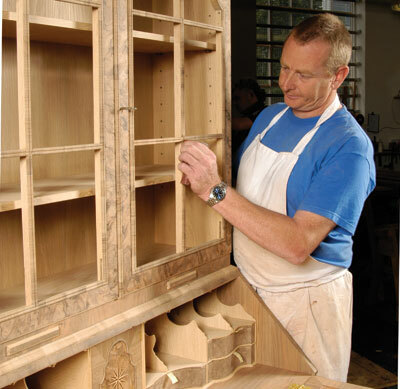 Furniture makers divide into three groups: those who love everything about the finishing process; those who regard it as a necessary evil; and those who absolutely loathe it. Whichever group you fall into, the fact remains that the job has to be done, and it is a task that can be rendered more satisfactory if the most suitable abrasive is used. Here we look at popular abrasive types and list the pros and cons of their different grains, backings and coatings. We will look at gradings and talk about the 11 most useful types of abrasive. 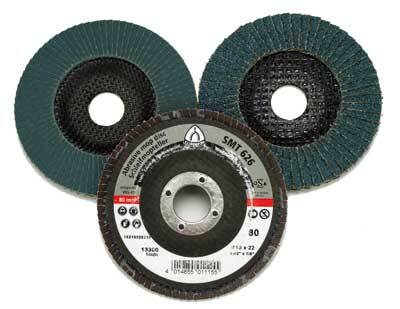 Two primary standards exist for classifying the grit size of abrasives. In the US the CAMI (Coated Abrasives Manufacturing Institute) standard is used. Europe uses the FEPA (Federation of European Producers of Abrasives) standard. Japan uses the JIS (Japanese Industrial Standard), which is equivalent to the FEPA standard. FEPA-graded abrasives can be easily distinguished by the letter P in front of the grit number, such as, for instance, P240. There are sizing differences between the CAMI and FEPA standards, so the two are not universal. See the PDF download at the end of this article for more information. Although still available, this is rarely used today except for hand finishing. 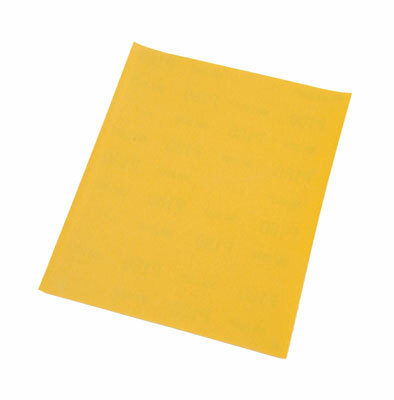 Glass papers are usually pale yellow. 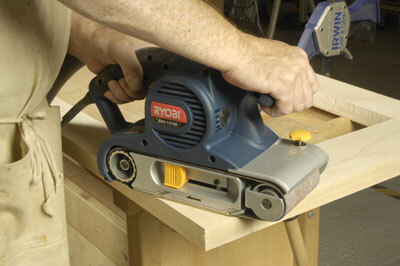 This type of abrasive has been superceded by those which can be used dry or wet and which cut quicker and leech colour. It is available in sheets. 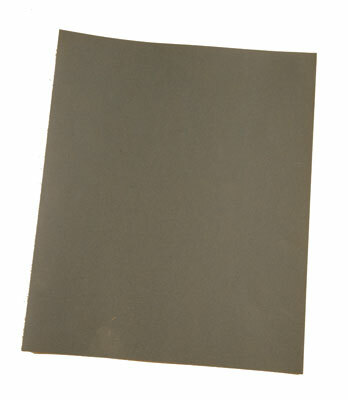 A dark grey, blocky-shaped impure form of corundum, a natural aluminium oxide. 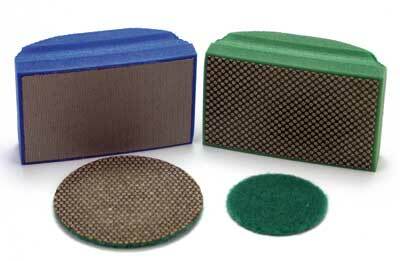 The use of emery abrasives has been largely replaced with newer high-performance synthetics. Available in sheets, strips and rolls. A naturally occurring, very sharp dark reddish-brown abrasive grain made from semi-precious garnets. Of the seven species, pyrope - a magnesium aluminium silicate - and almadine - an iron aluminium silicate - dominate. Available in and for sheets, belts and discs. One of the most popular man-made abrasives featuring very tough wedge-shaped grains that lack a clearly defined crystal structure. Aluminium oxide is manufactured using a fusing process from bauxite in a Higgins furnace at very high temperatures. Aluminium oxide abrasives include those made from brown - the most common type - white and pink aluminium oxide grains. 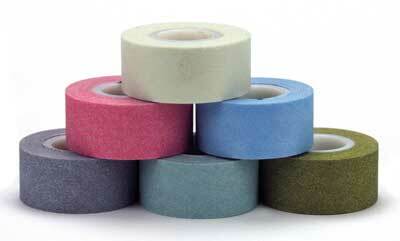 Available in and for sheets, rolls, belts, H&L discs, flap wheels, fibre discs and others. Some abrasives are available with stearated coatings which significantly reduce loading of sawdust and resins on the surface of the abrasive during sanding. A black synthetic material with a hexagonal crystal structure and blocky, sharp-edged grains, manufactured by the reaction of silica sand and coke in an Acheson furnace at very high temperatures. It has very good friable grain structure that breaks along crystal cleavages to expose new sharp-cutting surfaces. Available in and for sheets, H&L discs, strips and belts. A synthetic abrasive with self-sharpening crystalline structure with blocky grains, manufactured from aluminium oxide and zirconium oxide and quenched when molten, producing a crystalline structure that fractures well in use, revealing new cutting edges. Available in and for sheet, disc, belts, fibre discs and flap wheels. An exceptionally hard and sharp synthetic abrasive with a very uniform crystalline structure that is formed when alumina gel is dried and crushed. The name is derived from a manufacturing process that is similar to manufacturing industrial ceramics. 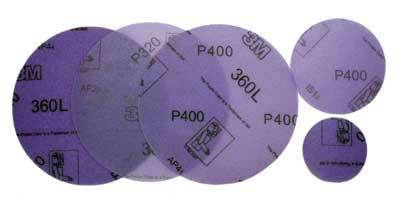 Available in and for sheet, PSA discs, flap wheels and belts. The hardest-known substance, diamond abrasives are made from carbon and are manufactured using natural diamonds and man-made diamonds. Industrial diamonds occur as three main types: bort (single crystal non-gem-quality fragments), ballas (spherical masses of crystals) and carbonado (impure diamonds). 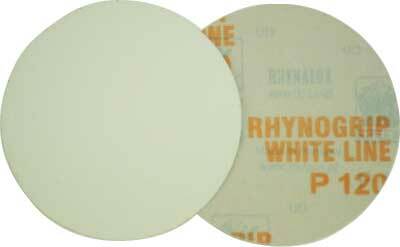 Available in and for H&L discs, flexible foam hand pads, PSA discs. 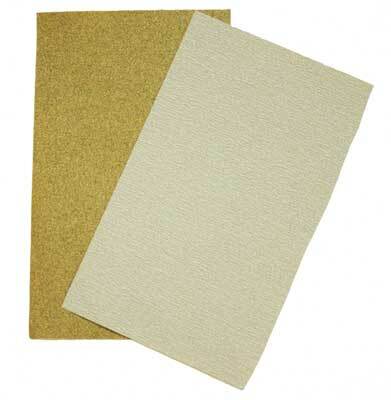 Open coat abrasives have grains coving approximately 50-60% of the backing surface. This system offers a faster cut and increased flexibility when compared to closed-coat abrasive systems, see below. In addition, the open coating offers more resistance to loading on the surface on the abrasive. 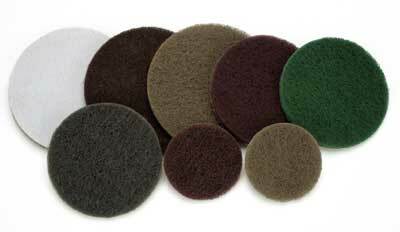 Closed coat abrasives have abrasive grains covering 100% of the backing surface. The increased density of abrasives on the surface makes these abrasives less flexible than open-coated abrasives. Closed coat abrasives offer increased stock removal rates when compared with open-coat abrasives. Non-woven-based abrasives offer significant advantages over traditional products like steel and bronze which tend to load easily and wear out quickly. 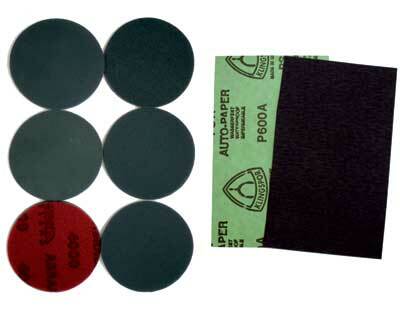 Non-woven abrasive pads are constructed from flexible non-metallic materials and do not compromise the surface with metallic fragments that may eventually rust or discolour pale timbers. 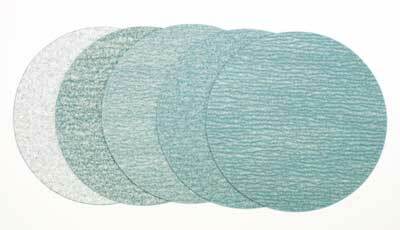 The primary abrasives used in non-woven abrasive pads, from most aggressive to least abrasive, are: aluminium oxide (brown, tan, maroon and blue pads), alumino-silicate (green pads) and talc (white pads). These are available in and for sheets, H&L discs and belts. 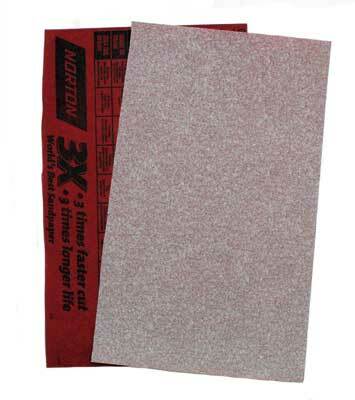 Non-woven surface-conditioning pads offer consistent performance with an easily controlled cutting action that resists loading. Non-woven abrasives are also available as polishing papers in roll, sheet and disc form, in sizes ranging from 1-30 microns. 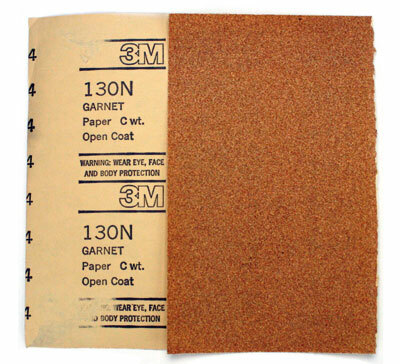 "Closed coat abrasives have abrasive grains covering 100% of the backing surface"